I've been writing about the three dimensional issue of fit and the problems with patterns off and on for some time here on my blog. I recently found some fantastic images which demonstrate the disconnect for many knitters. 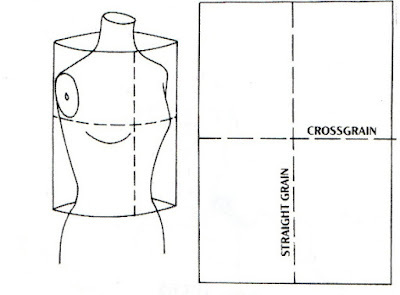 Flat patterns are the standard in the garment making world and we rarely give the concept any intense consideration. Stop for a moment and think about this. We take a one dimensional piece of fabric, wrap it around a three dimensional body made up of many planes, curves and angles, and then we're surprised it doesn't fit well. 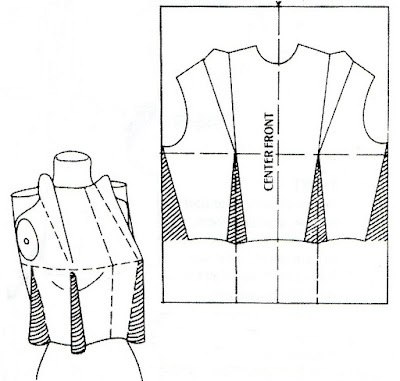 Image from Basic Pattern Skills for Fashion Design by Jeanne Price and Bernard Zamkoff. This is how we make it work on a body. We need to deal with length, circumference and depth. Depth is attained with darts. This is the most misunderstood fitting concept. 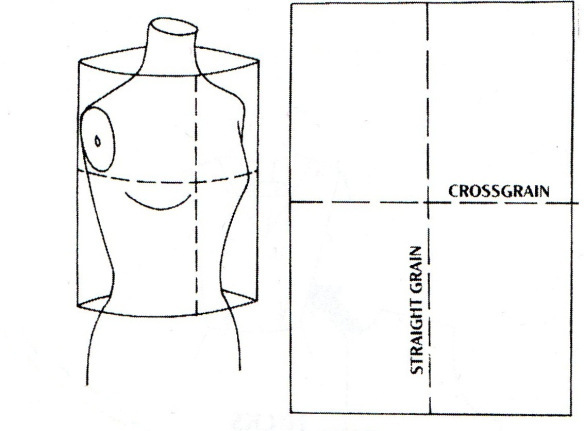 The body has angles and curves, so should your garments. Darts match our shape, allow for greater movement by accommodating the apexes of our bodies. The apexes are the bust, shoulder blade, abdomen, hips, and elbow. Every place there is a bump, there is an impact on the pattern and the dart allows for that change of either length or circumference. Add to these considerations the issues around so called standard sizing (which does not really exist) and it’s no wonder garment makers struggle with fit. 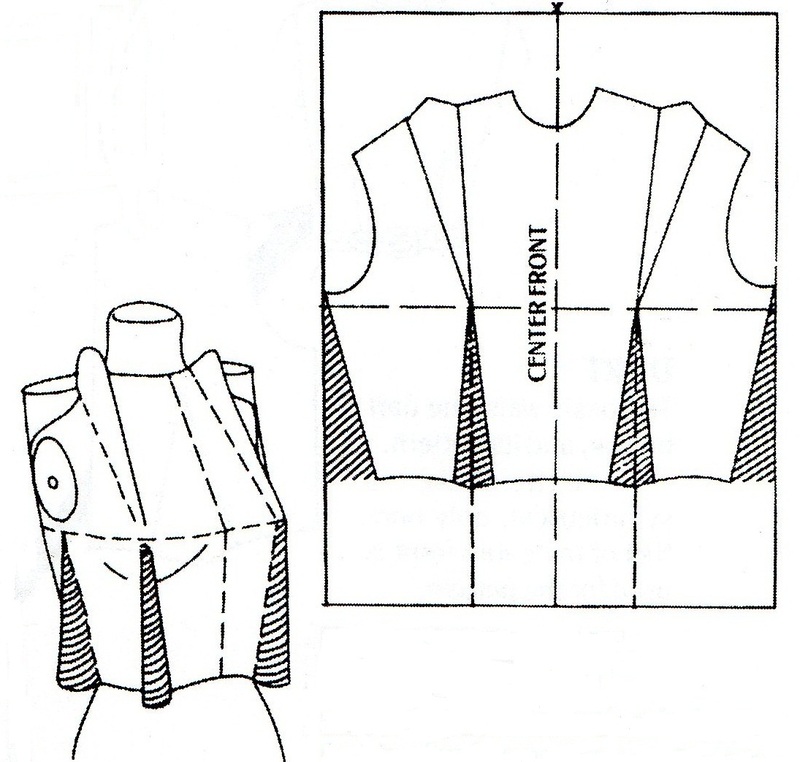 Many fitting adjustments are tiny little shaping changes which need to be assessed with a garment on the body to see just how much fabric needs to be added or removed.